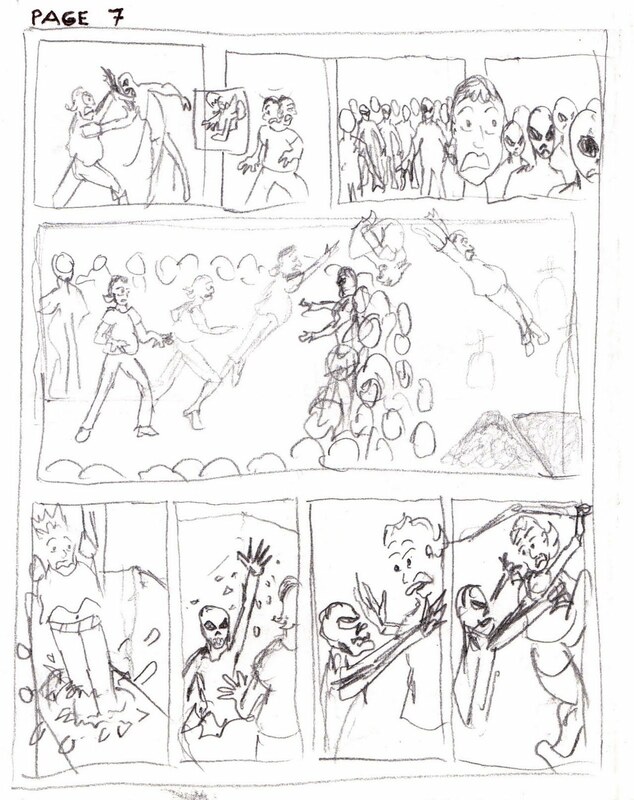 First thing I had to do was to translate the screenplay into actual images and divide them into panels on a page. 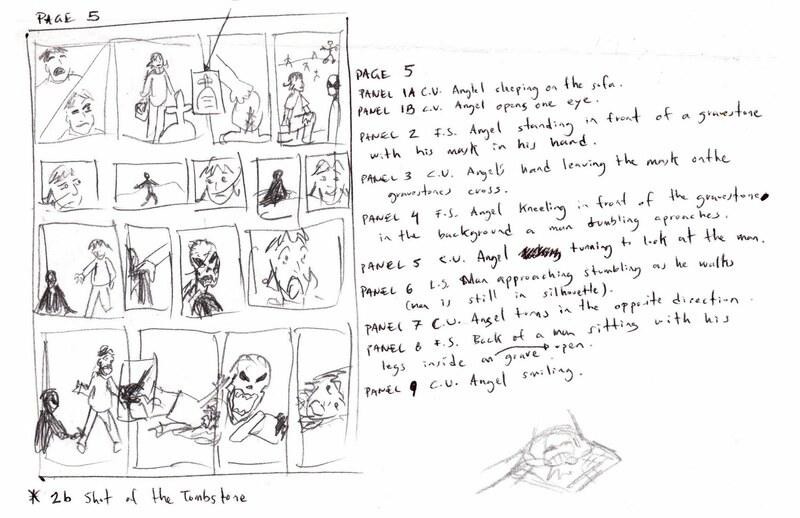 Thus the breakdowns (you have to break down the script into images). Here you can take a look at my first attempt (there will be more) at creating good pacing while trying to pack as much of the script into as fewer pages as possible, which means a lot of panels per page. 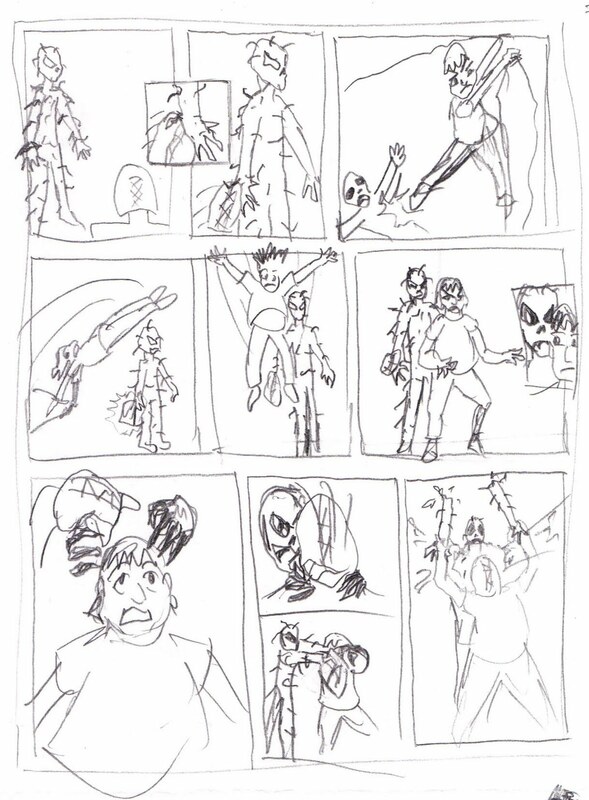 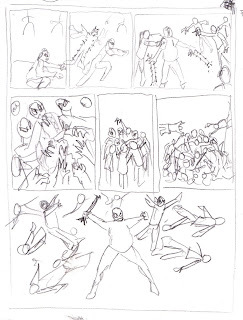 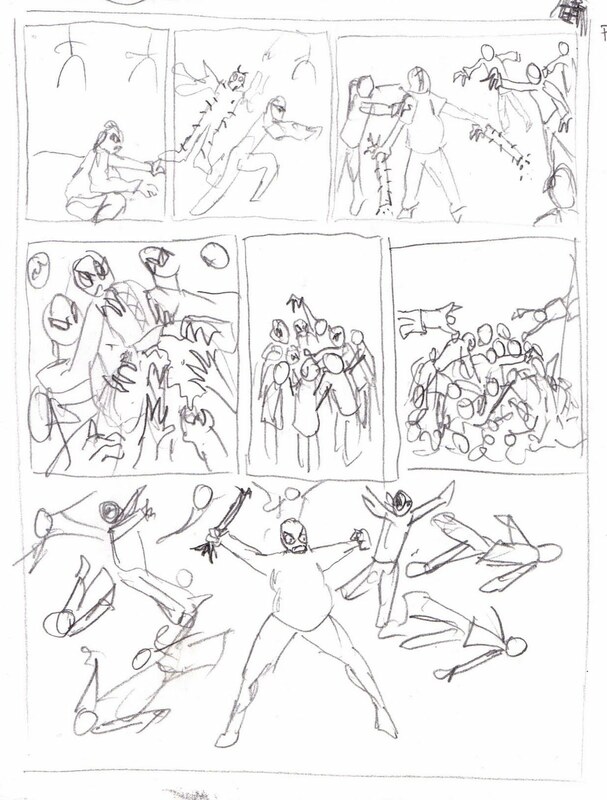 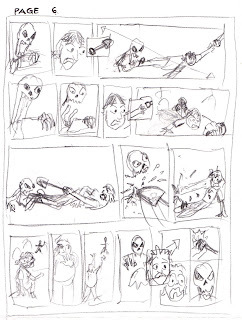 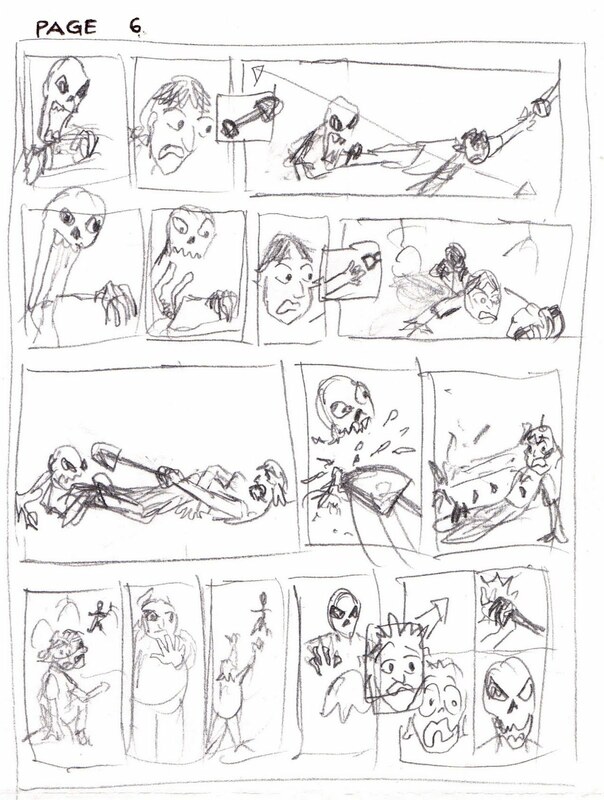 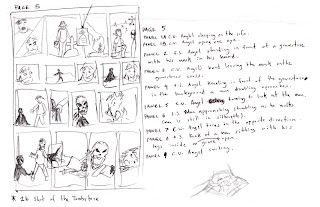 These are the actual (primitive) breakdowns I handed to Gared for the first attempt at the comic book.